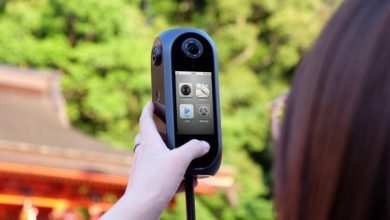 The Chinese giant, Xiaomi, is emerging as one of the most diversified manufacturers internationally, since they have a repertoire of products that will undoubtedly meet all our needs, being one of its most recent exponents, the Xiaomi Electric Pressure Cooker, an intelligent pressure cooker that will become the ideal accessory for home, but again we must add that this is not all, since our star today, is shaping to complement our life, we are talking about the Xiaomi electric oven, which we will get to know soon. 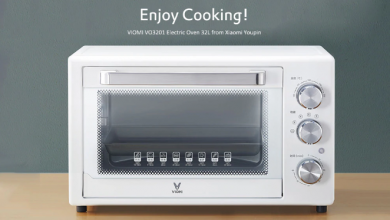 Xiaomi’s new product, the Xiaomi electric oven, comes from the hand of Viomi, one of the sub-brands of the company and another interesting fact is that it was financed by the crowdfunding platform, which has given us excellent products, for which we are sure, that this will not be the exception. As for the characteristics of this oven, it has a capacity of 32L, has dimensions: 510 x 435 x 305 mm and a weight of 7.3 kg, in other words, we are facing a fairly light product. Among other options, we must mention that it reaches temperatures ranging from 100° degrees to 230° degrees Celsius, but its ace up the sleeve is its rotisserie function, which can roast chickens evenly in 360° degrees, a true wonder. How much will the Xiaomi electric oven cost? The Xiaomi electric oven will be available only in China for a price of 249 yuan, the equivalent of $36.50, an incredibly affordable price for everything it offers, the only detail, is that we must wait until it is available to the rest of the world via online stores, which will crank the price up a bit. If you are a technology lover, we invite you to follow us on our official Facebook, Twitter and Instagram pages, where you can enjoy a wide variety of news, reviews, offers and analyzes about Xiaomi, as well as other brands of great growth We also invite you to our new Youtube Channel, so you can enjoy fantastic videos about technology. Xiaomi has launched a cat bed called "Boss Chair for Cats"